There were two major Kiev-4a variations - the original Kiev-4a (1958 - c.1974) and the Kiev-4a type 2 (c.1974 -1980). 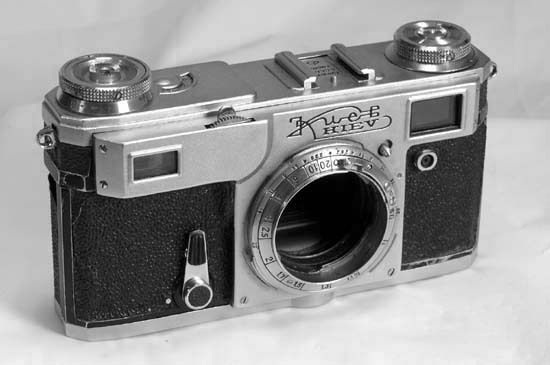 In the Kiev-4a type 2 the Arsenal engineers finally admitted that the top speed of the shutter was seldom as fast as 1/1250, and a more realistic 1/1000 was engraved as a top speed. The last model, Kiev-4m, was in production from 1980 to mid-80's. This Kiev-4a was made in 1974, it is a type 1 model. 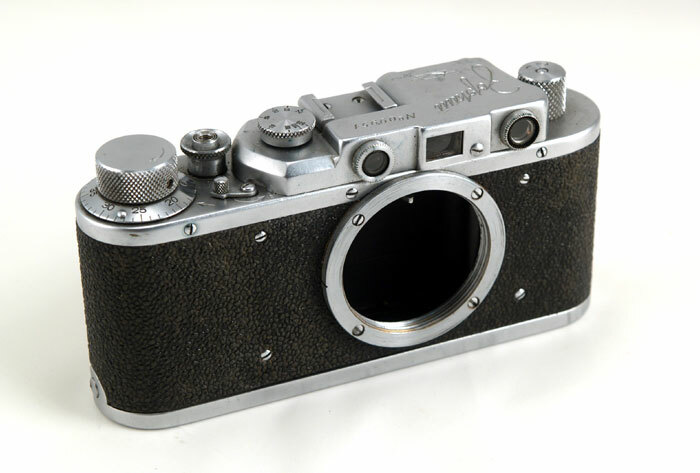 The camera body is in EXC.- condition cosmetically, clean overall. There are practically no paint scuffs on the edges of the body, no brassing on the chrome parts. Why AS IS? The shutter of this Kiev is stuck open. The rest of the camera is working.